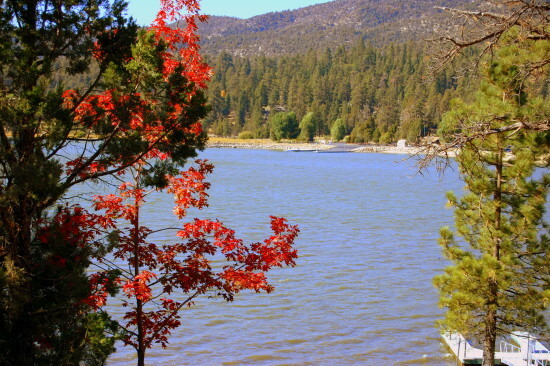 Fall is in the air this week in Big Bear Lake, California as the temperatures reach only into the 60s and 70s in the daytime. Get out your cold weather clothes and head to the Southern California mountains this week for a preview of the next beautiful autumn season. Tuesday, September 13 – With thunder and rain storms in the forecast, the movies are the perfect place to be for a gloomy Tuesday. The Village Theatres on Pine Knot in the village have a selection of movies from family favorites to sci-fi and horror films. Also on Tuesday it is Family Fun Day where tickets are at an amazing low price of $3.50 each. Wednesday, September 14 – Start your morning with a brisk mountain bike ride with the Big Bear Cycling Association. The Dawn Patrol Bike Ride starts at 8:00am from Bear Valley Bikes. This 15+ mile ride is for intermediate level riders. Not an experienced cyclist? Join the Cycling Association at 5:00pm in Woodland Trail for a mountain bike ride suitable for all experience levels. Be sure to dress appropriately for our cool weather this week! Thursday, September 15 – The 12th Annual Big Bear Lake International Film Festival starts today and goes on through the weekend. There is so much going on at the festival, check last week’s post for the full scoop! Friday, September 16 – It’s another Friday Night in the Village! Don’t miss out on the many street vendors, live bands, face painting and animal balloon makers in the village every Friday night through the summer months. Sunday, September 18 – ‘Today’ is always the best day to make new memories and Big Bear Lake is an awesome place to do it. Whether you enjoy casting a fishing line in, or bring your dog along for a hike through the woods, there doesn’t have to be a huge event going on to enjoy your trip to Big Bear Frontier. Just spending some special time with loved ones is often overlooked, so get up here and start making memories that you will never forget! Gallery | This entry was posted in What to see and do and tagged Big Bear CA, big bear lake, biking, cycling, events, fishing, history, vacation, weather, What to Do. Bookmark the permalink.